Add data provided by other apps to any content area (e.g. upper top, lower top, left, right or bottom). Data can be of any type (notifications, weather, stock exchange, moon phase etc). Depends only on what apps you’ve got installed. Change to any background (e.g. 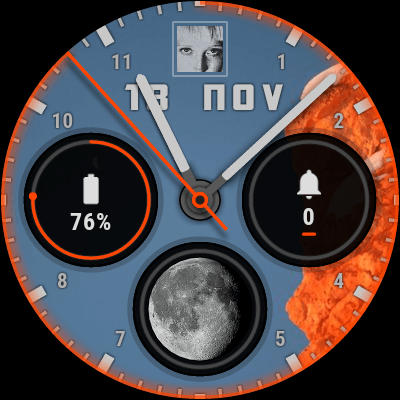 a photo) provided by other apps on your watch.